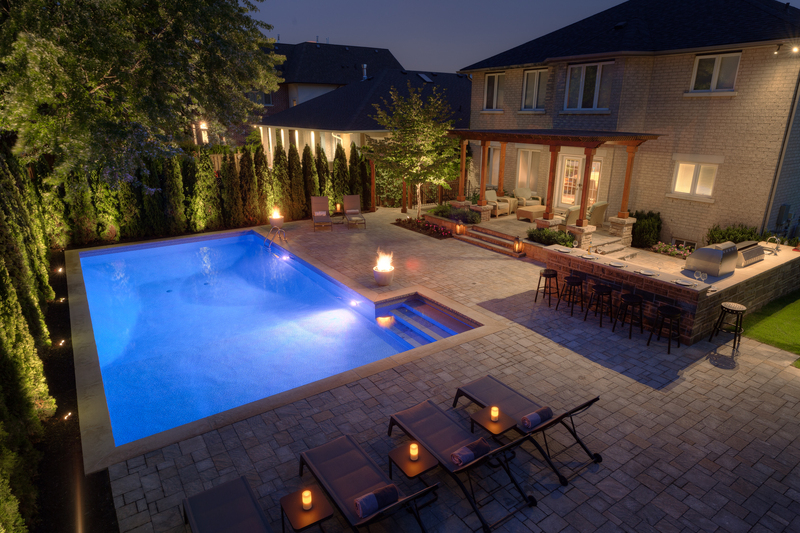 This 18×36 rectangle pool is accompanied with an outdoor BBQ and sitting area perfect for hosting friends and family. 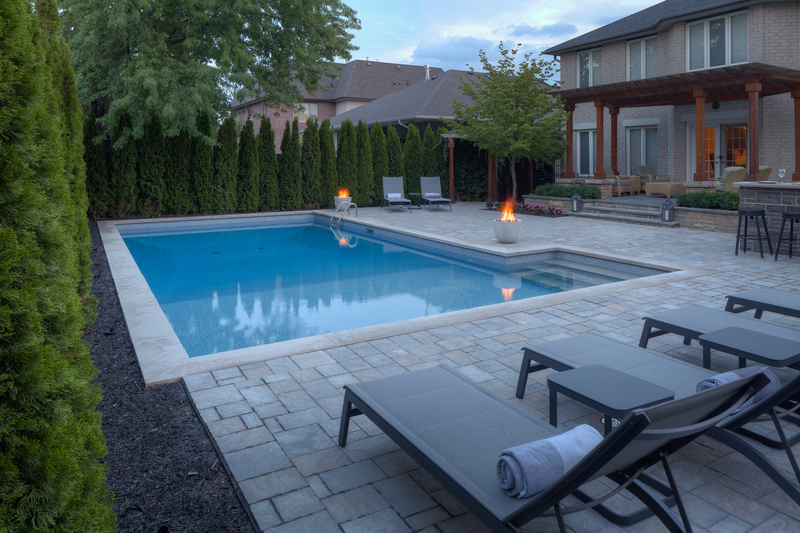 We added an 8ft walk in steel step with coping stones placed on top of the steps as an added feature as you enter the pool. 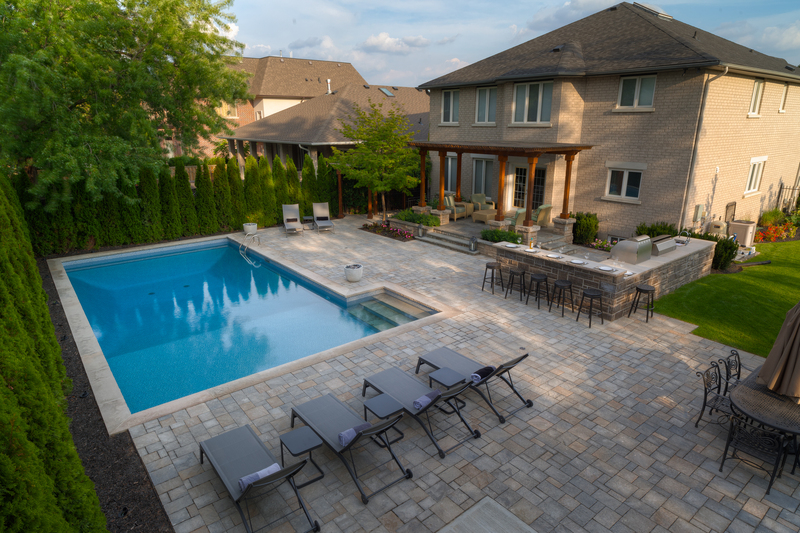 Pentair energy efficient pool equipment to help improve the pools hydraulic performance and minimize costs. 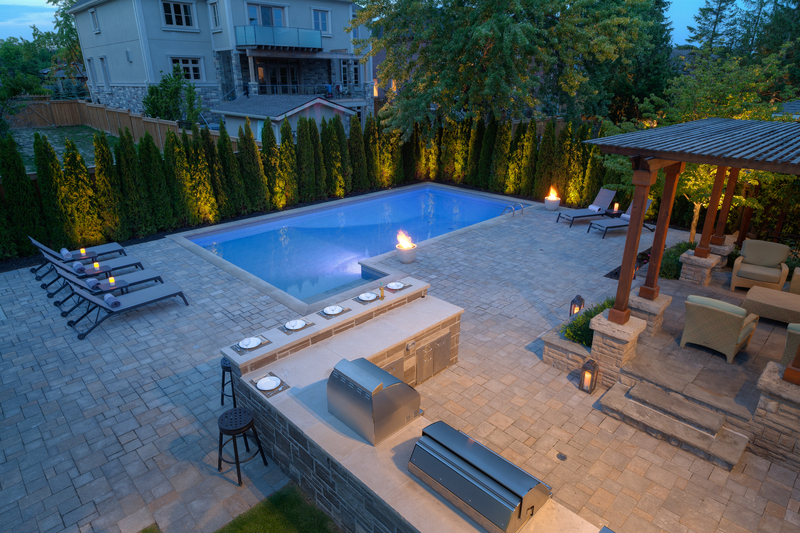 This backyard is perfect for families looking to host from home.